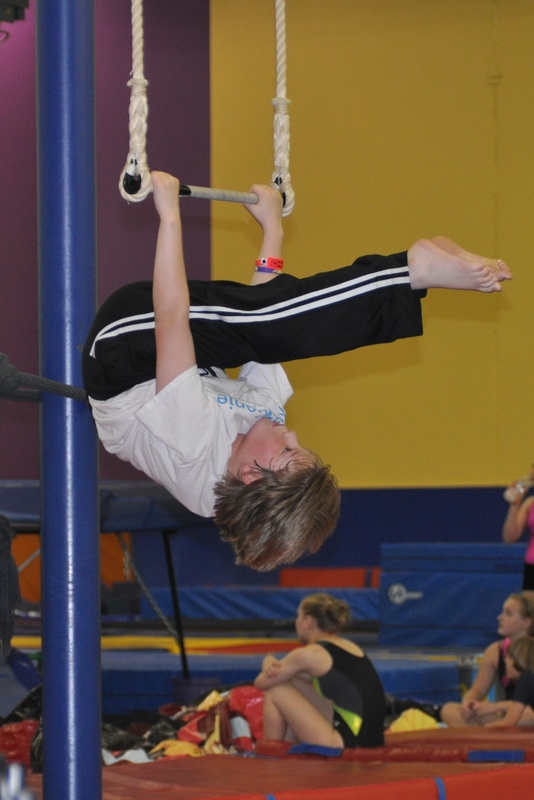 Ever since I started coming to circus class, teachers have been talking about building up core strength. That means having strong muscles in the center part of your body — not just in your arms and legs. But Teresa Tipping’s circus acrobatic classes are bringing the idea of a serious core workout to a whole new level. 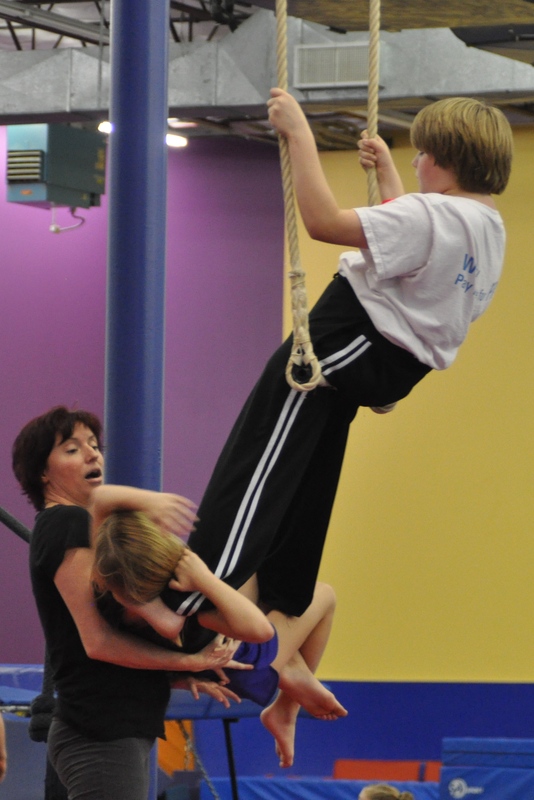 Besides back bends, push-ups, stretching, and the other warm-up exercises we do in other circus classes — which can be pretty hard work by themselves — she’s added pull-ups, pikes, and a kind of weight-lifting where we lift a partner or support a partner’s weight while we’re on the trapeze. I figured out why all the older boys I see in circus have those muscles: I think by the time I am in high school I will, too. Here are a few pictures from last night’s class. Caryn (my partner here) doesn’t weigh much — but supporting her weight on my feet works muscles I didn’t know I had. I can lift her easily with my arms, but my coach Teresa Tipping has to help with this move! I don’t mind doing crunches. But crunches on the trapeze are harder than they look. 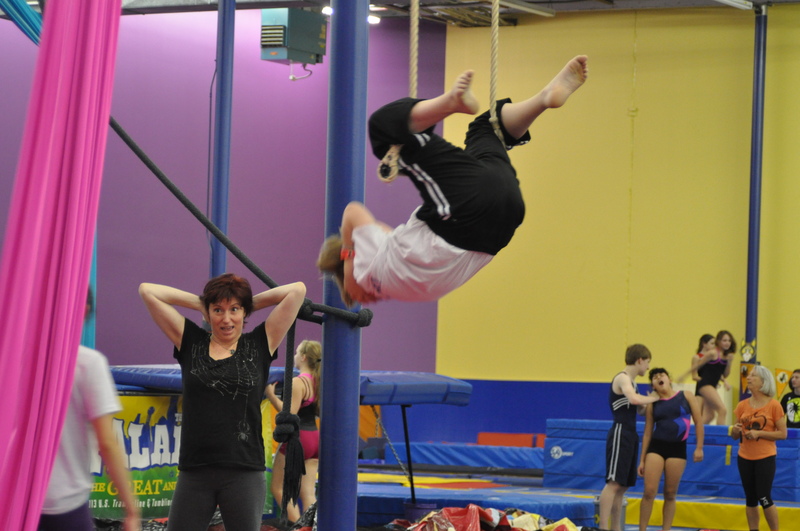 Once the crunches were done, I got to spend some time actually doing tricks on the trapeze. Teresa says my form is nearly perfect on this pike.